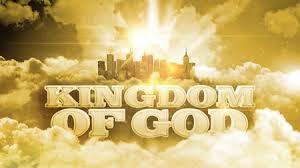 WHERE WILL YOU BE IN THE KINGDOM OF GOD? There have been many Christians slaughtered for their beliefs around the world recently and they will be in the better resurrection. The early Church in the times of the Apostles must have had a deeper understanding of their reward in heaven because there are records of their powerful faith. One such is in Hebrews 11:35 Others were tortured, not accepting deliverance, that they might obtain a better resurrection. They did not hesitate to give their lives for Christ. Not too long ago, twenty one men were beheaded by Muslim extremists because they would not renounce their Christian faith and become Muslims. 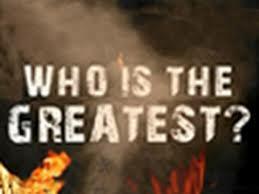 Revelations 20:4,6 And I saw thrones, and they sat on them, and judgment was committed to them. Then I saw the souls of those who had been beheaded for their witness to Jesus and for the word of God, who had not worshiped the beast or his image, and had not received his mark on their foreheads or on their hands. And they lived and reigned with Christ for a thousand years. Blessed and holy is he who has part in the first resurrection. Over such the second death has no power, but they shall be priests of God and of Christ, and shall reign with Him a thousand years. Did you know that not everyone will have the same positions in heaven? There will be ranks! Some will be greater than others. 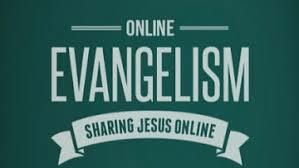 Matthew 5:19 Whoever therefore breaks one of the least of these commandments, and teaches men so, shall be called least in the kingdom of heaven; but whoever does and teaches them, he shall be called great in the kingdom of heaven. Matthew 18:3-4 “Assuredly, I say to you, unless you are converted and become as little children, you will by no means enter the kingdom of heaven. Therefore whoever humbles himself as this little child is the greatest in the kingdom of heaven. Here are some sayings of Christ to ponder. These verses give a lot of insight to what the Kingdom of God in heaven is like, how we should seek it and how to increase our reward. Does the resurrection to the kingdom of heaven have a great draw on your heart? 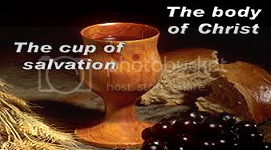 Categories: PROVOKING THOUGHTS | Tags: better resurrection, God's throne, greatest in the Kingdom of Heaven, heaven, inspiration, Jesus Christ, Kingdom of God, kingdom of heaven, living sacrifices, love, redemption, seek the kingdom of God, spiritual growth, Truth of God | Permalink.